Roll On: Why Malaysian Get Fake "Medicine" and What To Do? I'm trying to make a controversial title but the answer is really easy - it is because we ain't got enough knowledge. Where exactly to get that knowledge? How to get updated? Easy peasy lemon squeezy! Just do what I did - get a degree in Pharmacy. I thought it would be good to write about pharmacy stuff - sort of getting in touch with my root. Stay tuned as I share a bit of my own insight on this issue, common fraud and how to be medicine savvy. 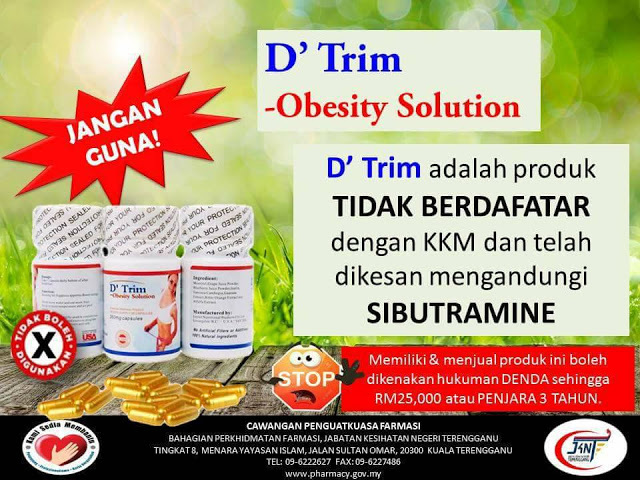 It has been for quite some time that Malaysian has been flooded with all kind of health product claiming to do all kind of things. From getting fairer and glowing skin to generally get healthier as our body somehow can overcome all kind of health problem we used to have. Anywho, the weirdest thing would be the one that gets us taller because biologically - no one can get taller past 18 years old. We can only get shorter when we reach old age. If anyone thought my title is misleading or some kinda click bait - since I wrote medicine even though these products do not claim to be medicine, well I beg to differ. Lots of these products actually do contain medicine which in turn get you some positive result. This is what we call an adulterated product. To make things worst these products cost a fortune and I personally met some elderly who bought these and only Allah knows how my heart drops because old people's is just so precious. How dare people manipulate and scammed them! Not only people are losing money, these extra ingredient use should be monitored by a certified health practitioner to ensure you're using it safely or else you are risked for an overdose! You are actually putting your health at risk. Just check HERE for all the adulterated product Ministry of Health (MOH) have successfully detected so far. I have sinusitis problem and knowing this made me feel so cheated. Both dexamethansone and chlorpherimane can be used to reduce allergy reaction i.e. the itchyness and runny nose. But it only works to stop the symptoms, not improving or curing it. This happen when you took an excessive steroid. 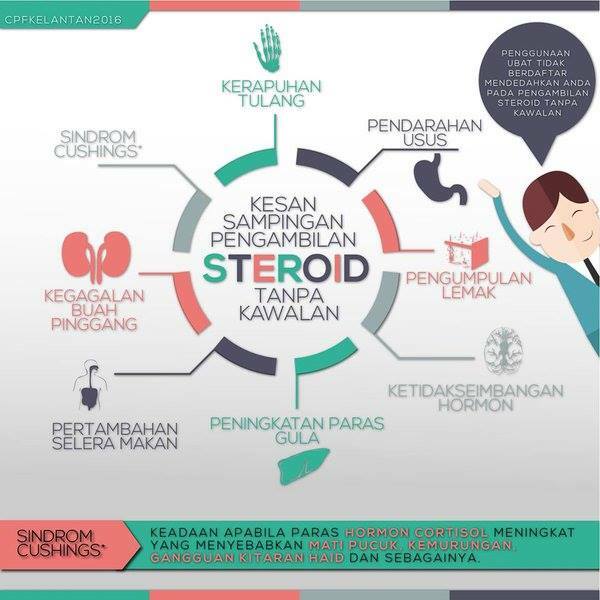 Usually, a steroid is used under a strict observation which means the doctors/pharmacist would emphasise some more on ensuring the patient will take it ACCORDINGLY. Sibutramine is so dangerous. It can interact with lots of medicine and it is particularly such a big concern due to how it affect the heart. If anyone with heart condition took this, it could be fatal. Hydroquinone is literally bleaching your skin - that is why people gets instant result. But just imagine your skin keep on getting thin resulting those glowy complexations until at one point it worsens and become a horrible case of sunburn times 10. Tretinoin although works a bit differently may also give the same effect. Do you know about this before? What exactly we need to know? Honestly, if it wasn't because of my pharmacy study, I wouldn't even grasp how to become a responsible medicine user. This knowledge has become the basis on how I judge a particular product. Yet, of course, this is not practical for all. Thankfully, Pharmaceutical Services Division, specifically under Quality Use of Medicine has been diligently educating Malaysian to become a responsible medicine user. This is by far not a self-praise because I only come to realise their effort because they come to us (the pharmacy student) and personally educate us so that we can educate others. THEY FREAKING FIND US. They have lots of programs set to make sure teens, young adults, adults and elderly get as much knowledge as possible. I was amazed how they actually thought to try to get to all age group. I knew about this since they start to properly educate us - the pharmacy students because they notice the knowledge gaps in university student. The most amazing effort would be how they trained some community member and then made them Duta Kenali Ubat Anda. They would then can teach the rest of the community. Learn more about them at their official website HERE. So this is the first step I advised strongly for you guys to follow - just follow them! Encik Dziehan's twitter - a registered pharmacist officer and he is the one in charge for the workshop used to educate us. Dr Anwal Fazal - a doctor and generally all doctors/pharmacist with medtweet.my stamp on their profile picture. #MedTweetMY. Kementerian Kesihatan Malaysia - Facebook page. Pilih Ubat Berdaftar - Facebook page. 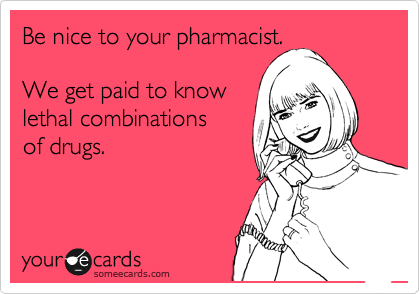 I'm thinking to write some more this weekend about pharmacy stuff. It feels good to be into something I am passionate about. It is said that the next intake would be in September - mereputlah aku. To finish this, let me tell you something cool. 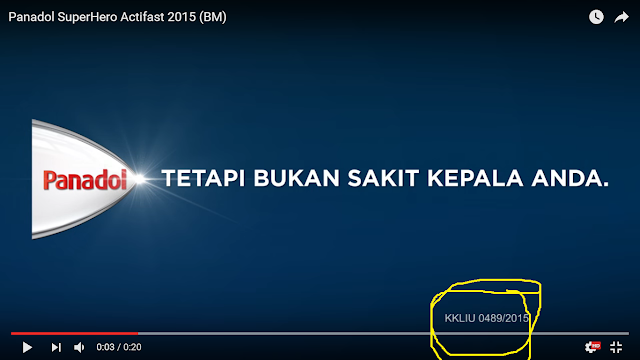 In Malaysia, under The Medicine Advertisements Board Regulations 1976 (Lembaga Iklan Ubat 1976), in order to advertise a medicine, they must show the registration number for such advertising. Even those advertisement for private hospital has to show it. If you aspire to become so much cooler - just read all the acts and regulation regarding medicine in Malaysia. I'm glad that there are a lot of pages on fb and twitter accounts that give correct information on meds and manage to raise awareness among malaysians. It's a pity that those sellers are taking advantage of the oldies by giving testimonies that is uncertified. Hi Rasya! Yes indeed it is such a pity but I do think it is even pity-er that the oldies fell for that. That is why more and more programs have been done to improve public awareness about it. Pypa this was actually a great post! Thank you for making this. Now I only trusted those medicine that been sell on pharmacy. Hi Eyqa, omg thanks for complimenting this post and you are an example of a good medicine user - get it from a pharmacy! Exactly! I hope more people would have better awareness like this.